You’ve probably heard of Noel Sullivan: previous member of Hear’Say, star of stage and screen, and most notably Nessa’s mate on Gavin and Stacey. 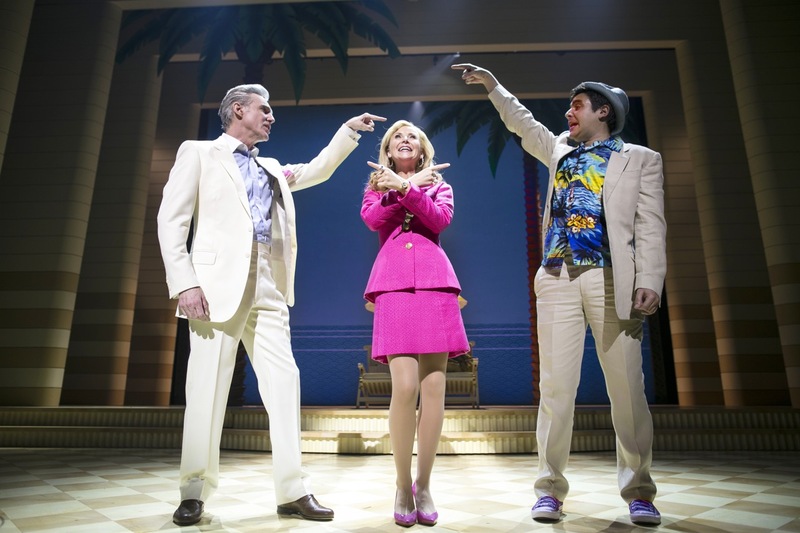 He’s also a born and bred Cardiffian, and returned recently to perform in the stage adaptation of Dirty Rotten Scoundrels at the Wales Millennium Centre. Writer Rhonda Lee Reali caught up with him for a chat about what he’s been up to since those heady days on Popstars. 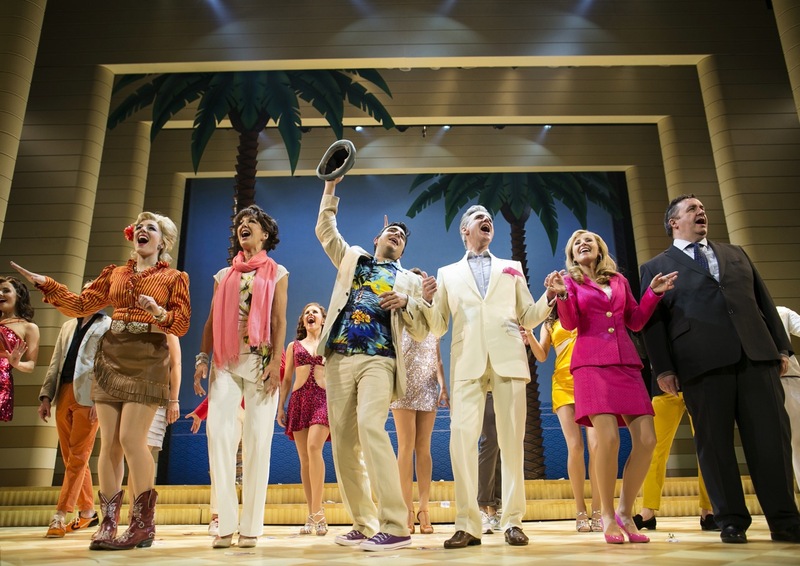 Noel Sullivan returned to the Wales Millennium Centre in the musical, Dirty Rotten Scoundrels in August this year, to play the role of Freddy Benson, the charming American that Steve Martin made famous in the 1988 film. Noel’s first professional role was as an understudy with Welsh National Opera starting at 13. Before there was Pop Idol, X-Factor or The Voice, there was Popstars, and he burst onto screens in 2001 as part of Hear’Say, who won and went on to sell nearly three million records worldwide (two number one singles and a number one album), but then split after less than two years together. Sullivan, 35, was honoured to take part in the Royal Gala Opening at the Millennium Centre in 2004. He went into musical theatre and hasn’t looked back. He’s acted, danced and sung his way through an impressive list of shows including Fame, Love Shack, Flashdance, Priscilla Queen Of The Desert and Rock Of Ages. Besides being in the UK touring shows, he made his West End debut as Danny Zuko in Grease and also performed as Galileo in the Queen/Ben Elton megahit We Will Rock You. He’s lived in the US for almost two years, treading the boards in Las Vegas doing Simply Ballroom and in the Midwest with the deceptively named The Twelve Irish Tenors. He’s even guest starred on Gavin & Stacey(yes!) and has a new album out, Here I Go Again. He very kindly took time out between Dirty Rotten Scoundrels and being en route to BBC Radio to speak to me about Cardiff, choirs, conmen and cuisine. We Are Cardiff: What area of Cardiff are you from originally? Sullivan: I grew up – my early years – in Grangetown. Then, later on, secondary school time, I was up in Caerau. I went to Mary Immaculate HS. WAC: Were you a choirboy? WAC: How has being in choirs prepared you for your singing career? Sullivan: There was never any doubt that I would do anything else, really. My grandmother was a music teacher, and I had a lot of support from about six-years-old, so it’s all I ever knew. It prepared me well for musical theatre especially because my St. John’s choir had a lot of voices and personalities. You have that with a touring company, so it definitely stood me in good stead! WAC: Music played a big part in you life, obviously. Sullivan: My grandmother was classically trained and influenced, but then my mum kind of gave me soul. She gave me Stevie [Wonder], Michael Jackson and Earth, Wind & Fire and all that stuff. So I had quite a nice balance. WAC: What’s more daunting – being in a musical that’s been adapted from a film/being in a revival or originating a role? Sullivan: I’ve originated a couple of roles, but the majority of stage work has been following onto from other people. It depends on the director that you get to work with. Some people make you follow stuff like before, and other people will allow you to find the piece yourself. With Scoundrels, I was very lucky that they allowed me to find it for myself. WAC: How do you like the role of Freddy? Sullivan: It’s a great role. It’s a great thing to be part of. You saw the audience reaction last night. People don’t know what to expect when they come along. It was great to see the Millennium Centre on their feet. I know standing ovations are not something that they get there all of the time. It was a great night for me. Obviously, to come home with such a great part as well. It’s such a joy to perform. WAC: Was there any different preparation for this role as opposed to others? Sullivan: Probably more than any other musical that I’ve worked on, this is definitely more of a play with music, so we have to approach it from the book first, and the songs are almost secondary, I think. It was a massive undertaking. You have to trust the comedy and the fact your director’s telling you that it’s working right because once the cast have seen it, it’s not funny again. So you don’t know. You’ve got then a five or six-week process where no one’s laughing, and you have to trust that when you get it on the stage that people are going to understand it. WAC: I have to tell you that your Brooklyn accent was spot on. Sullivan: Thank you very much. I detected a hint of it there! WAC: I’m not from Brooklyn but not far from there. Sullivan: It was great because when I was setting it up, they said I could – it would have been impossible to try and emulate Steve Martin. He’s such a one-of-a kind-performer. By letting me pick where I wanted him to be from, it made a massive difference in my characterisation. WAC: You got to pick that? Sullivan: Yeah, I got to pick where he was from. Because I’m younger than a couple of the guys that played him in the West End, I came up with a back story that he could be this wheeler-dealer kid from the streets of Brooklyn who got brought up by his gran, so I had quite a good time creating that. Obviously, they get a dialect coach in to teach everyone French and to give me the things for my character. The difficulty for me was alternating the Brooklyn and the southern accents. It couldn’t be deeper south, and they’re quite opposing sounds as well. It’s been great to get that, so you could flick from one to another in a heartbeat. WAC: You and Jameson (Michael Praed’s character) are such opposites. I think making Freddy from Brooklyn really highlights the difference between the suave Englishman and him. Sullivan: It adds a little brashness to him, which I’m familiar with -being from Cardiff. We were talking about it with the dialect coach. I was saying, “Why is it that some accents like New York and Cardiff and Liverpool have such a hard edge?” He was explaining to me that it’s because the people who work in those cities are usually working class, and they work in nearby docks and industries. They have to shout over everybody, all the noise, all of the time, to communicate with each other. It’s a fascinating thing that it all comes down to class. People who had more money wouldn’t have to shout out to communicate. It was really interesting to learn all of that stuff. WAC: Do you have a favourite scene or song in the show? Sullivan: It’s Love Is My Legs for me, that smouldering 80s power ballad where I get out of the wheelchair. It’s so much fun to play. It’s not very often you get backed by a choir! [Laughs] It’s very good! WAC: If you had friends who’ve never been to Cardiff before, where would you take them? Besides the usual attractions? Sullivan: It’s funny because all of my friends on the cast have been texting me – where should they go, what should they see, what should they do? The fact that a lot of us are based in the bay now, is brilliant, because especially in the last 10 years, it’s transformed into such a beautiful place. Yesterday was testament to that when the sun was shining. It’s pretty incredible down there. I recommend people go and have a look around the castle. Also, the arcades opposite the castle. I love those. And obviously now, we’ve got St. David’s, too, which brings us up to par with some of the other bigger cities in the UK. Which is great to have as well. It’s a sign of advancement, I think, when a city gets a John Lewis! [Laughs] Cardiff’s changed so much, and every time I come back, there’s new accommodations and new exciting restaurants to go and try. It’s a great city! WAC: Do you have a favourite beach in Wales? Sullivan: In south Wales? I love Southerndown in Ogmore Vale. It’s only like a 20 minute drive from Cardiff, and it’s really beautiful down there. This weekend, I went with my mum. She’s got a caravan in New Quay, west Wales. We went to this really rugged, beautiful beach called Caibach, which was stunning, and there was hardly anyone down there – even in August. You didn’t have to go very far to get a bit of Welsh coastline for yourself. WAC: Do you have any particular Welsh food that you can’t live without? Sullivan: I do. Something that you don’t get anywhere else is a Clark’s Pie. It’s a Cardiff staple. They’re delicious, but you can’t eat lots of them if you’re trying to stay as a healthy performer! They’ve got a shop in Canton, but I don’t know if it’s still there, even. Note: The Canton shop is closed. The only remaining Clark’s Pie shop is in Grangetown. Rhonda Lee Reali is a writer based in Cardiff. ← HUB Festival 2015 – Cardiff’s August Bank holiday live music blow out!